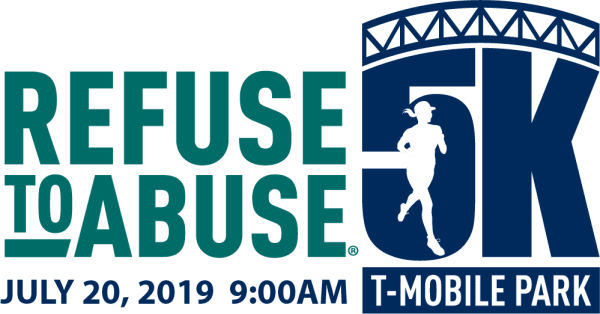 The Refuse To Abuse® 5K at T-Mobile Park is a unique 5K fun run/walk that takes you around every level of T-Mobile Park, from the top to the players’ tunnel to the final lap around the field. Stepping out on the field level of a major league ball park is an awe-inspiring moment that few have experienced! Funds raised benefit the Washington State Coalition Against Domestic Violence and their statewide violence prevention and education work. Space is limited: we sold out last year, so register today! Registration includes free parking, finisher's shirt, and medal. 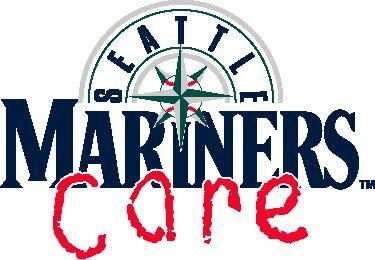 Refuse To Abuse® is a partnership between the Seattle Mariners and the Washington State Coalition Against Domestic Violence (WSCADV). 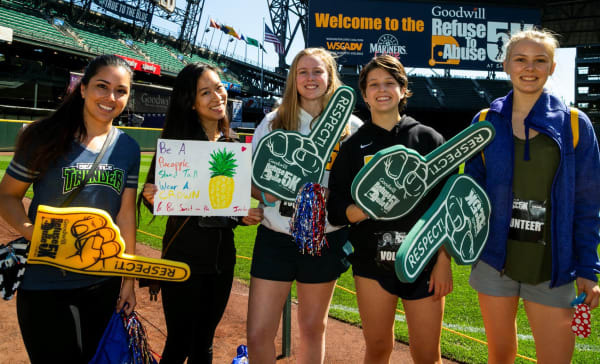 With spokesmen that include Dee Gordon, Felix Hernandez, Kyle Seager, and Scott Servais, Refuse To Abuse® has reached millions of Mariners fans over the past 23 years with messages that promote healthy, respectful relationships. We believe that domestic violence is 100% preventable and that we all have a role to play in stopping this violence before it starts! By participating and fundraising for the Refuse To Abuse® 5K you will be a part of the solution. Join us in spreading this message and educating young people about healthy, respectful relationships. Funds raised support WSCADV’s violence prevention work, including: work with teens and youth engagement, the development of concrete tools to help start conversations with young people about what a healthy relationship looks like and feels like, and the work we do to advocate for better laws and programming to prevent future violence for survivors of abuse. The Washington State Coalition Against Domestic Violence is the leading voice to end domestic violence in Washington State. We improve how communities respond to domestic violence and are working to create a world where all people can live and love freely without fear. Our work includes: producing educational tools; training and technical assistance to our member programs who work tirelessly across the state to help survivors towards safety and freedom; research; engaging the public to prevent domestic violence; and policy advocacy. To learn more, please visit wscadv.org.